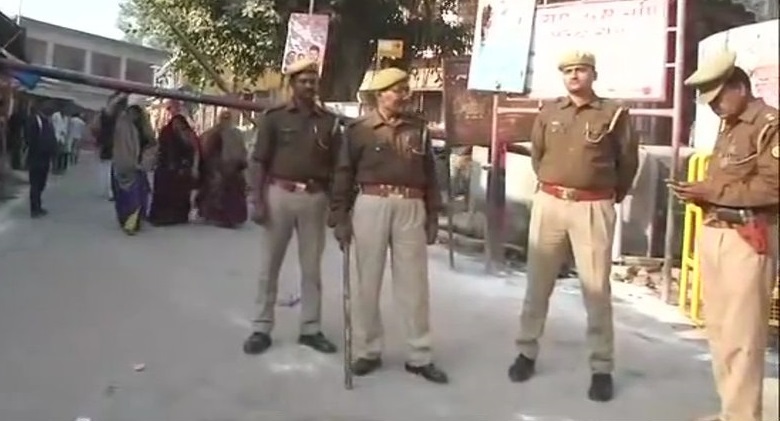 Ayodhya: Heavy security deployment was made in the twin towns of Faizabad and Ayodhya as the VHP and the Bajrang Dal plan to observe 'Shaurya Diwas' (Day of Valour) while Muslim organisations plan 'Yaum e Gham' (Day of sorrow) to mark 25 years of Babri Masjid demolition. Police along with the CRPF and RAF have been deployed on roads and sensitive localities of Ayodhya?Faizabad. Regular search operations of the vehicles, hotels and dharamshalas in Ayodhya are being conducted. VHP spokesman Sharad Sharma said that not only homes but also temples in the temple town of Ayodhya and adjoining city Faizabad would be decorated and the day would be celebrated with much fan fare. Meanwhile, some Muslim organisations in Ayodhya - Faizabad will observe December 6 as "Yaum E Gham". A functionary of the Indian Union Muslim League said they will observe this day as Black Day. Faizabad SSP Subhash Singh Baghel said heavy security deployment had been made in the twin towns of Faizabad ? Ayodhya. The police along with CRPF and RAF have been deployed on roads and sensitive localities of Ayodhya?Faizabad, he said.